Mother! – 4K Ultra HD Blu-ray review | What Hi-Fi? A look at Darren Aronofsky 's filmography reveals rough but vivid films. Pi was aggressively subjective: Requiem for a Dream harrowing and The Fountain baffling and mesmerising in equal measure. The Wrestler was bruisingly emotional, Black Swan was a lurid treat and Noah an odd retelling of a biblical story. mother! is a mix of all the above. It split audiences during its theatrical release. Bring it up with someone who hasn't seen it and they're liable to grimace with a look that says "not for me". What mother! is about is something that only Aronofsky can answer with any certainty, but it definitely provokes a reaction. 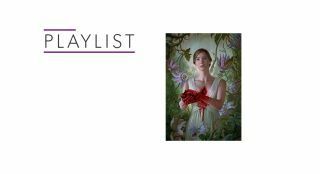 Jennifer Lawrence plays mother, who lives with her poet husband, Him (Javier Bardem), in a secluded house that she's restored after it was burnt to the ground. Despite mother's support, Him is consumed by writer's block. That changes when a series of uninvited guests disrupt the idyll she's created, each visitor causing her more and more distress but freeing Him to create his greatest work. mother! could be about several things. It could be about love and devotion. It could be a parable about the abuse of the planet: an interpretation of the Old and New Testament or about the treatment of women. It might also be the most nightmarish house party you could imagine. While it's possible to see the film through those filters, it's debatable whether Aronofsky has a strong handle on what he wants to say. It's provocative, the type of film Roman Polanski could have made in his pomp. But the tone, clarity and delivery of his message is likely to cause confusion. This is not an easy film to grapple with. Perhaps that works in the film's favour in stirring up a conversation, though it's questionable whether you'll want to engage in one. mother!, especially in its latter stretch, can be an absorbing, bruising experience, but there's a darkly comic streak to it. We cackled at the ludicrousness of some moments but that may say more about us than the film. Jennifer Lawrence puts in a courageous performance as the duitful mother, a meek presence who's made to feel inconsequential throughout. Bardem is good as a callous, almost obliviously ego-driven artist who can't help but seek affirmation from his fans. The rest of the cast are solid – Ed Harris' Man and Michelle Pheiffer's Woman are amusingly childish – but this is Lawrence's show, her presence felt in every frame. mother! was mostly shot on 16mm with some shots at 35mm and 6K. It was mastered at 2K, so this is a 4K upscale. It has HDR10 and Dolby Vision implementation, though we only looked at the former. The choice made by Aronofsky and cinematographer Matthew Libbatique to shoot on 16mm makes for an incredibly raw and grainy image that's a world away from the slick digital pictures we often see. It's a decision that makes detail and clarity slightly harder to make out. The onus on natural light adds to the film's impressionistic look, though it's not the brightest of images. There's detail to be found, whether it's in the close-ups of the actors' faces or the textures throughout the house – the bark of the wood, the nicks on the walls and the half-painted rooms. 4K reveals these imperfections, adding to the feeling that this house is both lived in and unfinished. Colours don't necessarily leap off the screen, with a palette of creamy beige, orange and brown tones. The glow of the house lights and the resulting orange shading of character's faces is striking. There are moments where the HDR makes its case, whether it's the oily red mark on the floor that plagues mother or the yellow tincture she drinks to fend off anxiety attacks. Outside scenes, which are few and far between, are brighter than the indoor sequences and appear hot in terms of tone. Blacks are solidly rendered, although the image's fuzziness means they lack a sense of inky blackness and outlines aren't quite as detailed. The 4K faithfully retains the film's aesthetic, warts and all. If 4K is meant to get closer to and preserve a director's vision, then it's hard to disagree with this presentation. It's an enjoyable image that complements the film's visual and artistic intentions. If the picture tends to be half the equation then in the case of mother!, we'd say it makes up two-thirds of this film's experience. Both positoning and panning are excellent, though. Sounds move from one speaker to another naturally, conveying the subjectivity of Lawrence's mother as she moves through the house. You can pinpoint where sounds are in the soundfield and there's an impressive sense of clarity and preciseness to proceedings. Scenes are sparsely filled with sounds, which has the effect of making each scene feel alive. Dialogue starts in the centre channel but soon moves about, adding to the film's soundscape and creating space and depth as characters move from one room to another. The house itself becomes a character in the film, or at least an extension of mother. The second half is full of energy as the interlopers make their presence felt. One scene devolves into a rave with a thumping bass line; bombs go off and a crowd clashes with riot police, all the while you have mother's anixety attacks/contractions ratcheting up with room-shaking intensity. This track puts you in the headspace of Lawrence's mother and it's not always a happy place. Intense, unsettling and sometimes creepy, you're missing out the film's sensory experience if you're watching on a small, tinny-sounding flatscreen. mother! is an arresting picture, though enjoyment of it will be down to whether you engage with what Aronofsky is aiming for. It's provocative, but to what purpose eludes us. The look of the film is intentional and works to its benefit, but those looking for a slick 4K image won't find one here. The Atmos track is probably mother! 's best component; intense, immediate and thrilling. And a speaker package is a must if you crave the full-fat sensory experience. Fans will lap up this release, others may watch the film, throw it in the bin and then set the bin on fire. It's a film that's destined to be divisive, but if you're interested in mother!, it's definitely worth a look.